While a vice president in the computer industry, Lynda Dahl learned the metaphysical power of consciously directed thought and used it to create a million dollars. Since then, she has used conscious creation to leave her long-time executive career, become an award-winning author, co-found a publishing company, and host a radio talk show. 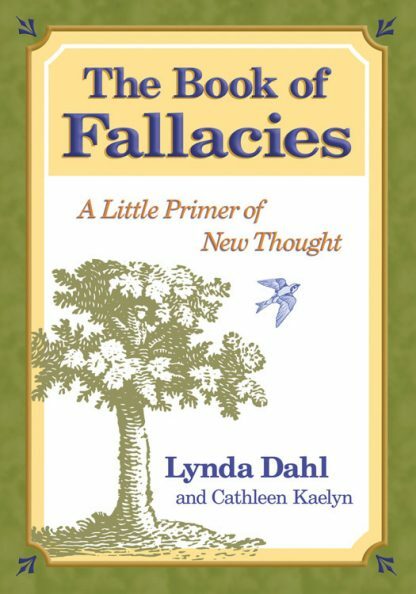 In The Book of Fallacies, Dahl, with the help of her daughter, actor Cathleen Kaelyn, has distilled what she has learned into a primer, taking tired old beliefs--the "fallacies" that we assume to be the facts of our existence--and offering in their place stunning new thoughts that define reality. The result is a beautiful and practical little primer of empowering, life-altering thought. As described in her first book, Beyond the Winning Streak, while a vice president in the computer industry, Lynda Dahl stumbled onto an astonishing message: Our lives are crafted from the fabric of our thoughts, feelings, and beliefs. What seems to happen to us is caused by us. By changing our beliefs, we literally redesign our lives into what we choose to experience. Having discovered this information, Dahl went on to create a million dollars for herself, gain the freedom to leave her twenty-plus year computer industry career, and create the new life she had only dreamed of in the past. Since then, her success as an author and radio host testifies to her ability to create a wonderfully fulfilling life. Dahl is also the author of Ten Thousand Whispers, The Wizards of Consciousness, and The Book of Fallacies, co-authored with her daughter, Cathleen Kaelyn. Cathleen Kaelyn, Lynda Dahl's daughter, is a stage and screen actor and has appeared in co-starring roles on ABC's It's Like You Know and Lifetime's Oh, Baby; and lead roles in stage adaptations of Romeo and Juliet and the Kennedy Center's production of The Happy Prince. She was nominated three times for the prestigious Irene Ryan Acting Award. She lives in Sherman Oaks, California, with her husband, actor Scott Rinker.